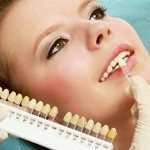 Teeth whitening is fast becoming one of the most popular cosmetic dentistry treatments we perform. 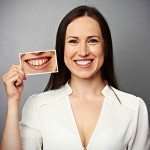 Whiter teeth look healthier, give the face a more youthful appearance and can give you a brighter smile. This treatment is also often referred to as ‘bleaching’. At Bridge Street Dental Centre we offer this service from as little as £265 for both upper and lower teeth.